Pumptrack is a circuit where, instead of pedalling, you move the bicycle forward with pumping motions. The idea of the track comes from a rider, who, with the help of an eingineer, developed a high quality track, that without any doubt fulfills both the rider's and the operators's demands and requests. It's a perfect track to train your balance and learn new skills along with others. The track is suitable for all ages and skill levels. Bicycles of all sizes, skateboards, inline skates and kickbikes can be used. The Pumptrack circuit also creates a natural gathering point for children, youth and parents. Pumptrack circuits are manufactured in composite materials and come in different colours and textures to suit all types of environments. The circuits can be left outdoors all year round, or be dismantled and stored on pallets in waiting for the next event. Pumptracks are of modular construction, meaning you can choose a model that fits the intended activity area. If the conditions change, you can modify your circuit by adding extra Pumptrack modules. The tracks are very flexible and can be placed on any type of surface, indoors or outdoors. They can also be easily moved between different areas to create activities in different spaces. They are also popular to install at various events to create an existing activity area. Pumptrack circuits can also be composed of prefabricated concrete modules. This is a solution if you want a permanent installation. These tracks are installed above ground or cast in the terrain in order to blend in with the surroundings. So far, Pumptrack has been awarded with four internationally recognised awards for its excellence, product design and functionality. Please contact us for advice, sketches, cost proposals or if you have other questions regarding your upcoming outdoor project. 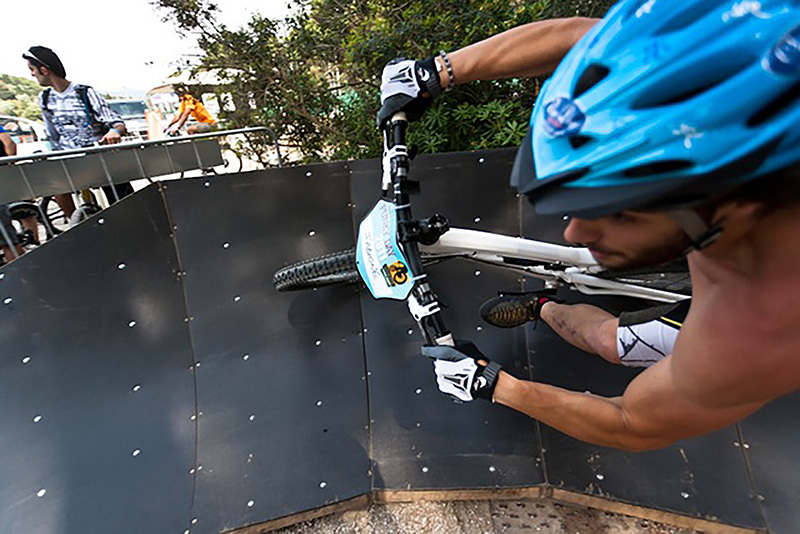 We will help you to get the most out of your Pumptrack circuit!